Luis is just an average teenage boy living in the idyllic fishing island of Silag. He is coming of age alongside his younger sister Lulu, who busies herself with amateur singing contests in hopes of becoming a star. One fateful night, a talent manager discovers her singing and offers her an opportunity to undergo vocal coaching in Manila. Lulu eagerly takes the opportunity and leaves for the city, thinking her dreams are finally coming true. However, after a few months, Lulu’s family suddenly loses contact with her. Luis sets out for Manila to find his sister, but what he finds there changes his life forever. 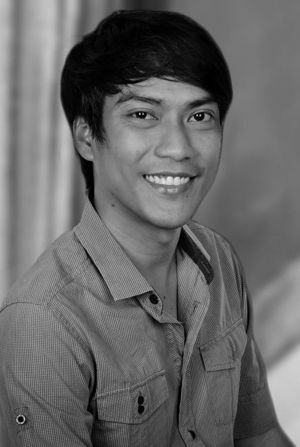 Carlo Obispo graduated with a Bachelors in Philosophy and Arts Communication from Saint Louis University, where he first developed his passion for directing and writing. After college, he attended film production workshops and started making short films. His first short ESBAT competed at the Cinemanila Independent Film Festival in 2008. In 2011, he made another short 123, which explores child prostitution in the Philippines. His debut feature PUROK 7 (Cinemalaya Newbreed 2013) follows the children of an overseas Filipino worker who faces a death sentence in China. His second feature 1-2-3 (GASPING FOR AIR) was the opening film at the 12th Cinemalaya Independent Film Festival.